Being prepared for your worship/singing experience can make all the difference between a smooth and powerful time with the Lord. There are many phases of preparation and we’re going to breeze through a few of them. Few people in the church today feel they have the time, money or inclination to get any serious training for their voice. But there are so many great reasons to do so. 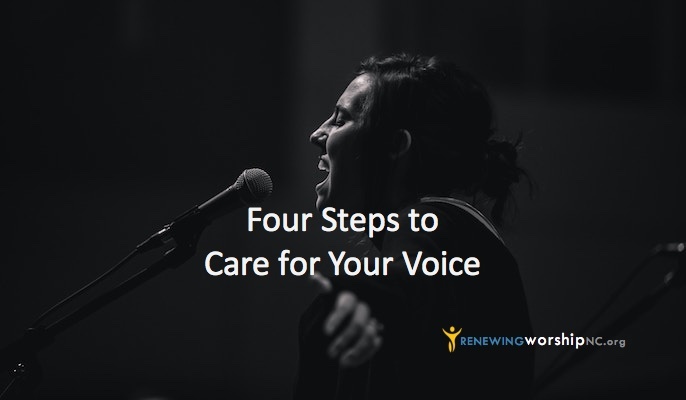 Training can help facilitate your ability to accomplish all that you want to vocally and do so without straining or damaging your voice. With proper training you can also discover your true range and ability. It’s important to select a good coach however! Be careful to check into the qualifications of the coach you choose. Just because they speak at conferences, have a nice voice, teach, have a web-site and DVD sets or charge a lot of money does not mean they are really qualified to teach. Look for coaches that have an actual background in vocal training and education from a qualified university. These are the ones who have been uniquely trained to teach and teach-not just perform. If you train with a great coach you will learn how to properly warm up your voice and take good care of it. It’s important not to strain your voice through misuse or abuse, especially the night before you’re scheduled to sing. Be cautious not to stay up too late, talk for long periods of time at an elevated level or let yourself become dehydrated. Vocal rest, sleep and hydration are all vital to being prepared vocally. Drinking the proper amount of fluid is imperative but also having the proper humidity, especially at night is also important. You should always breathe in through your nose as this warms, moistens and cleans the air before it hits the vocal cords. Try to stay away from menthol, lemon or alcohol as these all dry out your vocal cords. If you need something to soothe your throat, try a menthol-free throat lozenge or the herbal tea “Throat Coat”. Abuse and misuse of the voice come from a variety of things. The most common is simply overuse. Many people have jobs that require them to speak all day, and then they rush home to grab dinner and head off to a two hour choir or worship team rehearsal. They haven’t abused their voice per se, they’ve overused it. The same may be true for the worship leader who sings three services on Sunday after an all day rehearsal on Saturday. They may be singing or talking with proper technique but they’re simply doing too much of it. Sometimes however people abuse their voice by singing improperly or contorting their voice during times of worship and prayer, this can take many forms but one is yelling-commonly called “belting” (see my article in the July/August edition). Your vocal cords are designed to last a lifetime with proper care, but can very easily sustain significant damage. Take care to make sure you use your voice properly and don’t overdo it! 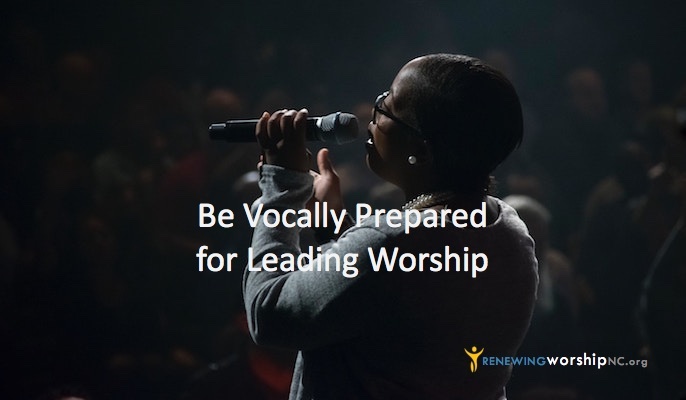 When you show up for your time of worship whether you are the leader or a background singer, it is your responsibility to be prepared. Number one, you need to be warmed up. Start this as soon as you wake up and make it a part of your routine. The steamy hot shower is a great place to get started! You’ll have super-moist air and who doesn’t sound great in the shower?! But always take your warm up slowly so you don’t create strain and ultimately cause phlegm to form on the cords. Phlegm is annoying and if not removed gently will simply continue to return. Phlegm acts as a “bandage” to vocal cords that have been hurt in some way, if you cough or clear your throat to remove the phlegm, it will simply keep returning. Try continued swallowing and refrain from using your voice (if you can) until the phlegm passes. Then be more gentle with your voice and the phlegm will likely not return or at least not as quickly. Know your music! Whenever possible, have your music and your specific part memorized. Make sure that the vocal part of your team takes time to perfect their blend. The best way to achieve blend is without the help of any microphones or musical instruments. It is in this way that you can all truly hear, and be able to tell whether you are singing too loudly or who might be singing too quietly. It is NOT the soundman’s job to give you the perfect blend! Make sure that you have a great blend before you get onto a platform and it will make the soundman’s job a lot easier. Being able to hear yourself is key for any singer. There are several ways to go about this on a platform. The standard way has been with floor monitors (wedges). If you use these, be sure to start your sound check by getting the house right first-with no monitors yet onstage. Then after your ears have adjusted to the room, slowly bring up the sound into the monitors onstage. Then simply supplement with what you can’t hear acoustically already in the room. Don’t shoot for a “CD quality” mix in your monitor. It’s unnecessary and impossible to achieve anyway. In ear monitors can be given to every singer and also are nearly invisible. This lessens the overall volume level on the stage and makes it easier for the sound tech to mix. The in ear monitors can be controlled individually allowing for people to adjust their own volume and mix, if you have the right equipment. This can be great, but I suggest that all background vocalists have the same mix. They can control their own overall volume level, but they need to keep the same vocal mix or other wise all the work they’ve done to achieve a great blend will be out the window. That is the one advantage to the wedges on the floor, but there are so many other benefits to in ear monitors that if you can use them, use them! Just be sure to keep one vocal mix for the background singers so they can hear what they really sound like. Most of the time singers sing with whatever is put in front of them. Sometimes this works out very well and other times it doesn’t. No other musician leaves such things to chance so regularly. Imagine a guitar player showing up to play with whatever guitar was provided! Never would it happen! Yet we singers just take for granted that it will all work out. There are so many different kinds of microphones out there and some of them will work with your voice so much better than others. Many of the worship conferences that I speak at now have booths where you can take the opportunity to try out different microphones to see which best suits your voice. (check out my hubby’s site at www.worshipmd.com for a list conferences where he will have just such a booth set up!) Most microphones are really very reasonable in price and probably less expensive than you think. So think about investing in your own ‘instrument’: Get some training, take good care of your voice, get those monitors set right and consider buying yourself a decent microphone–you’ll be prepared! Reprinted with permission from Sheri’s blog at SheriGould.com.